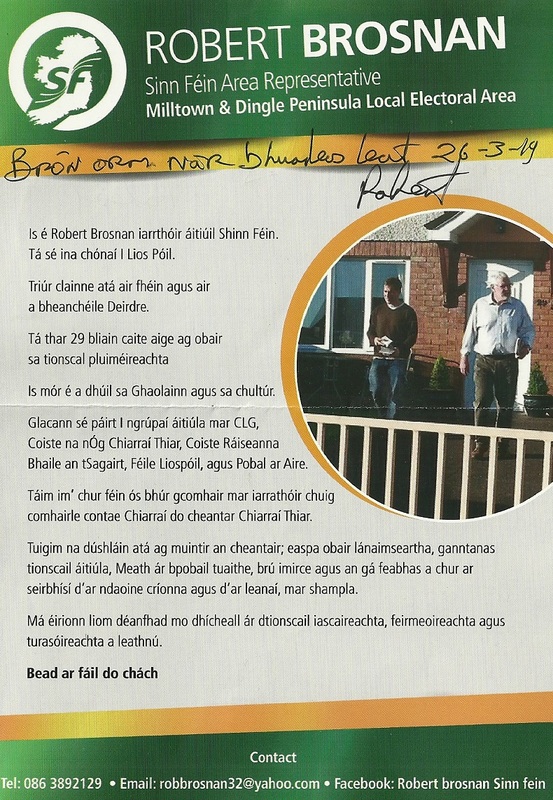 A bilingual leaflet (with a “sorry I missed” you as Bearla agus as Gaelige) le Robert Brosnan runing for Sinn Féin in An Daingean. 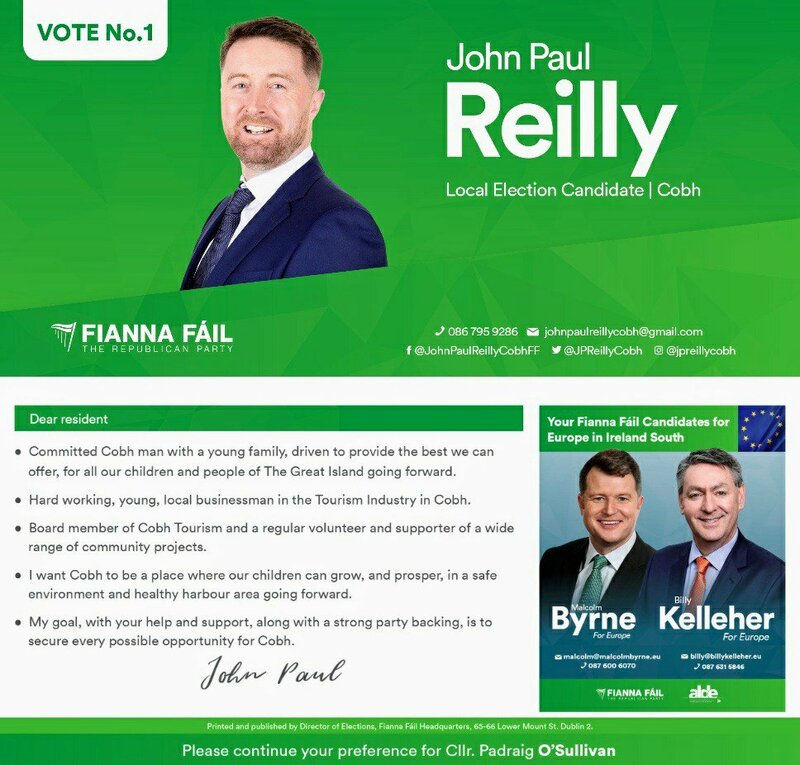 A Leaflet from Dara Mulvey of Fine Gael running in Ballymote Tubbercurry for a seat on Sligo County Council. 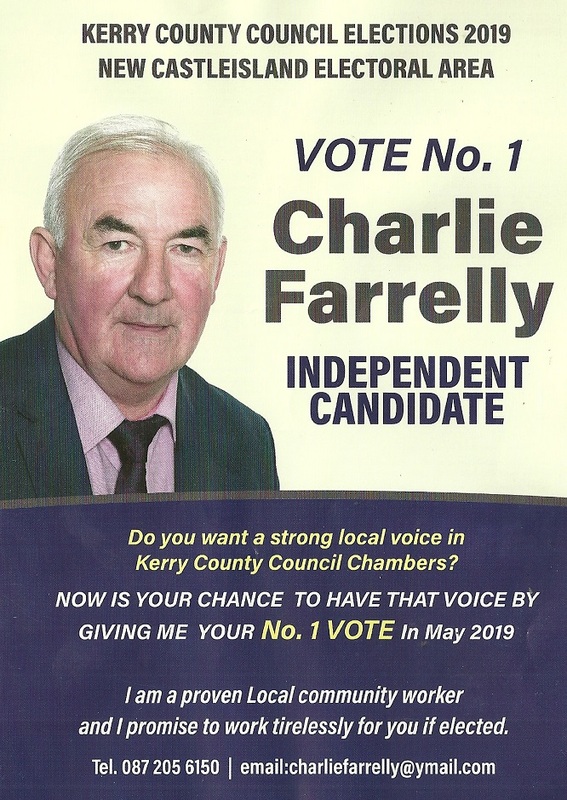 A Leaflet from Charlie Farrelly who is running as an Independent in Castleisland for a seat on Kerry County Council. 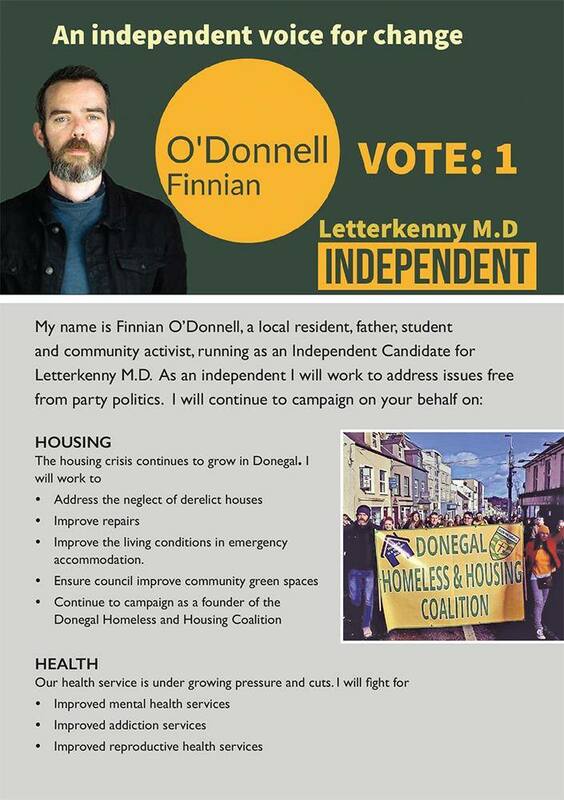 A Leaflet from Finnian O’Donnell who is running as an Independent in the Letterkenny LEA for a seat on Donegal County Council. 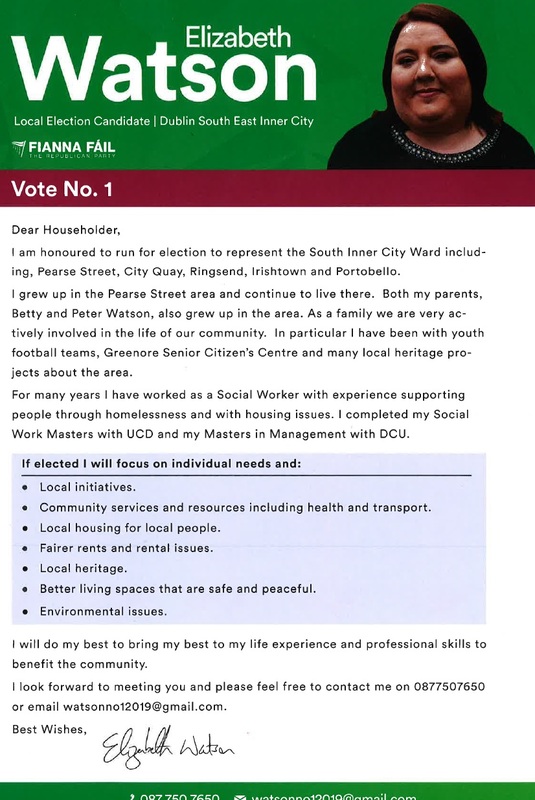 A Leaflet from Anwar Malik running as an Independent in the Lucan LEA for a seat on South Dublin County Council.